With all the recent rumors about Facebook buying Opera it might be hard for non-opera users to understand why Opera might be valuable enough product for facebook to consider buying. Well, for starters Opera Mini is still the numero uno mobile browser out there. Probably it won’t stay there for long as it has some serious competition from android and ios built-in default browser. But considering the fact that Opera doesn’t have it’s own OS to inflate its user adoption, it’s a pretty big accomplishment. Opera first release Speed dial feature in Oct. 25, 2007 with 9.50 beta 1 the final release was on Jun. 12, 2008. Speed dial displays your most visited pages in the form of thumbnails. This might not seem like something special to you because all across the board every single major browser copied this feature and implemented it. You are so used to it and take it for granted that you don’t see the novelty on this feature or know who implemented it first. Kids these days don’t realize how good they have it. 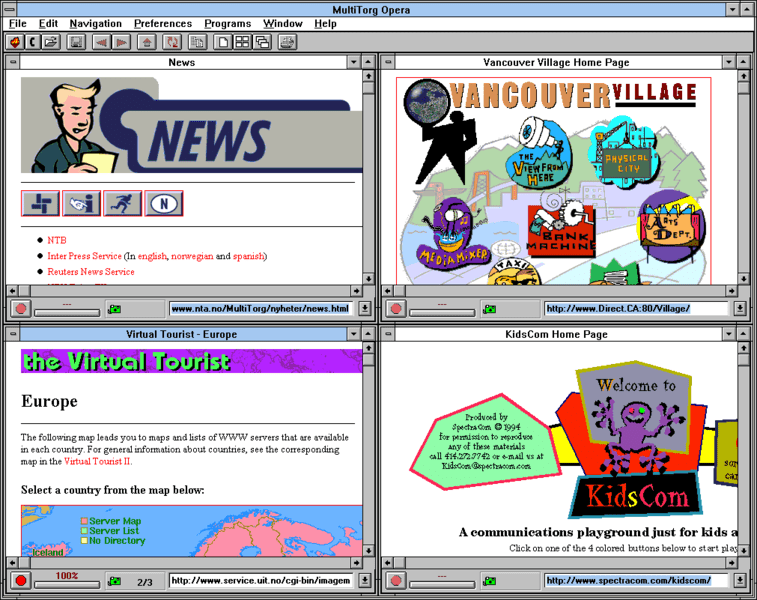 There used to be a time when it was unimaginable to browse internet without pop-ups. It was so bad that they used to sell stand alone software (just like anti-virus) to stop pop-ups and even they were horrible at it. 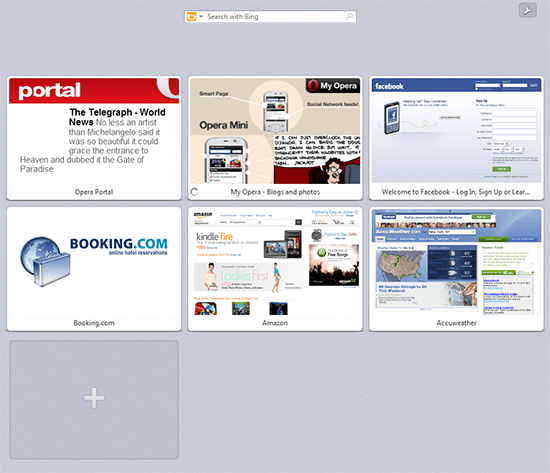 In came Opera with pop-up blocker built-in to the browser and forever changed web browsing (or rather made it saner). 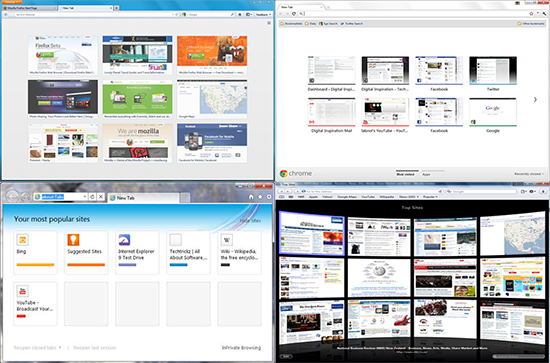 As usual every other browser copied this feature. Browser sessions is the ability to go back to your previous state of browsing after you closed your browser, accidentally or intentionally. Opera was not only the first to implement this feature but also (still) has the most customizable option of this feature, including the ability to open your last session on a different computer. Another feature that we take for granted today is the ability to delete private data from your browsing sessions. Of course with the introduction of incognito mode by chrome, it makes private browsing easier. The need for granular or wholesale ability to delete some or all browsing sessions is still very much useful. And this very useful feature was first introduced by Opera in 2000 with version 4. “But why?” is something you will often see associated with Opera. It’s not clear why, despite being the first to implement all these groundbreaking features, Opera still holds a pathetic browsing market share. The general consensus seems to be that opera is unlucky along with making some bad business decisions. Like making the browser ad-supported and commercial product for a brief period in its history. But somehow that commercial tag stuck with Opera and them never fully recovered. Opera is not only a free browser today like all other top browsers out there, but still to this date continues to innovate with almost every release. You should most definitely give it a shot and judge for yourself.